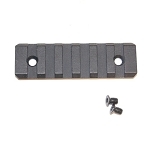 - We recommend and stock mostly "free float" style handguards. 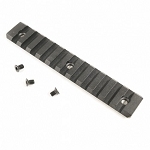 These are best for eliminating the stress and harmonic influences that are often caused by military style handguards that make contact at the gas block. - Gas Block Clearance: If you want the Hand Guard to cover or be longer than your gas block position, you will need a "Low Profile" gas block and check for dimensional clearance in the block and guard descriptions.